Unless you have sworn off all news and/or have been traveling to Antarctica over the past two weeks, you have undoubtedly heard of the havoc wreaked by Hurricane Harvey in Southeast Texas. I’m sure many of you have already donated to an organization that helps the people who have suffered so much loss, but still so many more of us could. 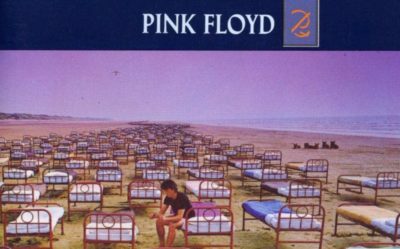 You might not think that I could tie Pink Floyd into an article about the sheer power of giving, but you’d be wrong. In 1987, David Gilmour, singer songwriter and key member of the band wrote a song entitled “On the Turning Away.” (Lyrics Here) This is a beautiful song about how we have this crazy propensity to turn away from the challenges of others. Maybe it’s because we think other people will help. Perhaps it’s because we are so internally focused we just can’t see the suffering. Or maybe it’s because seeing the suffering of others is itself too painful for us. Today, I invite you to open your heart and your mind to the suffering of others. To willingly help and invest in the easing of someone else’s pain is one of the most powerful tools that a human being possesses. Do not swallow the lie that someone else is already doing this, that somehow the people will be ok without you, or that the magnitude of the damage is so big that your tiny donation doesn’t matter. It does. In fact, the irony of telling yourself that you have no part to play in helping to relieve the suffering of others is that giving not only helps others, but serves you, too. When you give, you still your lizard brain. Remember that one key function of the lizard brain is to protect our survival. And thus it wants to hold tightly to our every dollar — thinking that clinging on to our stuff will somehow save us. Let us use our higher-level thinking today and realize again that holding on tightly will certainly cause us to turn away. It will only take you a few minutes right here, right now. Stop reading this, click on one of the following links and go invest. Don’t make a big deal out of it, don’t share with anyone how much you gave, just go. Giving of ourselves to others is one of the human race’s most amazing gifts. And whether it’s one dollar or $10,000, you will have done something today that allows you to be a part of that gift. And heck, along the way, you stilled your own lizard brain.